Guess who is in town? MY MOM! This is basically me right now. Whats on the agenda you ask? Maybe you don't...but I'm going to tell you anyways because HEY, its my blog and I dowhattaiwant. The agenda includes: wine, binge watching Bravo, shopping (will we see you at Fashion Yards? ), more wine and perhaps something productive like a hike or going to a museum. Doesn't that just sound fantastic! 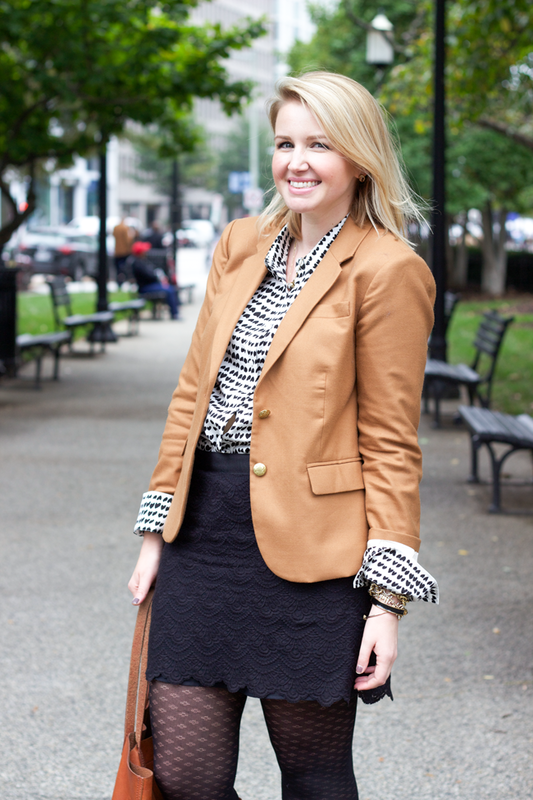 I wrote recently about not loving this blazer but I've worn it a number of times since. While I stand by my initial claim that the quality doesn't match the price, the price per wear cost is plummeting. It is easy to wear in so many ways and I find myself reaching for it when I'm feeling uninspired or running late (which are usually the same day.) Again, wait for a sale but don't rule it out completely. Or try this Target alternative. Enjoy time with your mom. LOVE how you rocked the black & brown trend. Such a great all outfit!